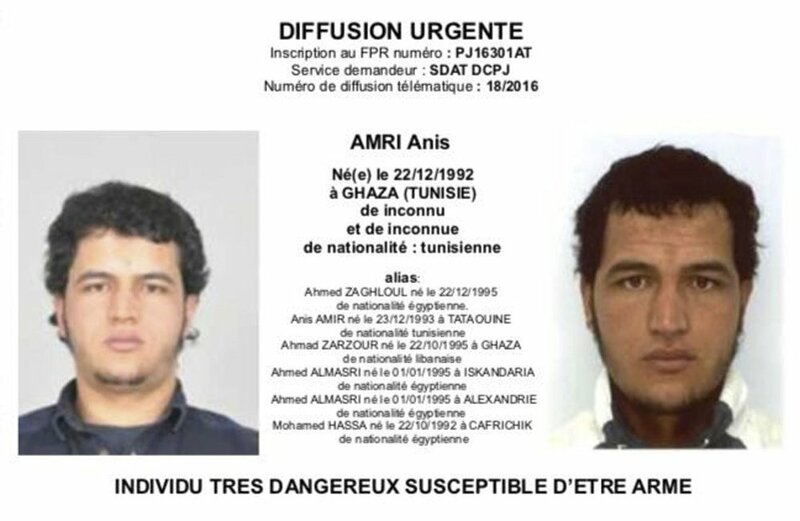 Tunisian national Anis Amri, who was wanted by German police for involvement in the Berlin Christmas market attack. Photo sent to European authorities and obtained by the AP on Wednesday shows Tunisian national Anis Amri, who is wanted by German police for alleged involvement in the Berlin Christmas market attack. Twelve people died when a truck ran into the crowded market Monday.